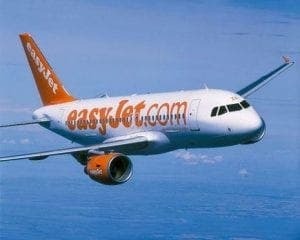 148,000 holidaymakers fly to or from easyJet's UK airports on almost 1,000 flights. TENS of thousands of UK travellers were jetting off on their annual breaks today at the start of the school summer holidays – with most of them heading for Spain. Britain is expecting its busiest ever day in the skies with more than 8000 planes passing through British airspace over the next 24 hours. In the UK alone, nearly 148,000 holidaymakers are set to fly to or from easyJet’s UK airports on almost 1000 flights. The airline was breaking the record for peak summer travel day. And Mallorca, Malaga, Alicante and Faro tops the company’s list of favourite sunshine destinations. And there was good news for parents who find it difficult to keep their kids occupied during the flight. In a new initiative, the airline is giving books to youngsters to read during the journey. The airline welcomed more than 264,500 customers travelling on 1,700 flights across its network. This compares to 2016’s peak summer travel day on September 2 when more than 255,000 customers took to the skies. Sophie Dekkers, easyJet’s UK Country Director said: “Year after year the summer getaway continues to grow and this year is no exception. The easyJet Book Club will see seven thousand copies of children’s classic books made available in passenger seat-pockets across its entire UK fleet.